This page provides links to various video walk throughs - speed runs of many of the platform games featured in our top ten votes. Click on the picture links below to watch videos and read reviews for the selected game. 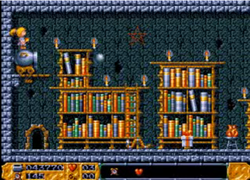 Click here to watch a video of this classic Amiga Public Domain Game. Click here to watch a video of Alien Fish Finger - The game currently topping the Top Ten platform vote, despite strong competition from The Adventures of Quik and Silva. 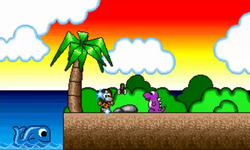 Click here to watch a video of Crazy Sue's first platform game. Click here to watch a video of the second Crazy Sue. 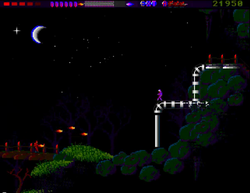 Click here to watch a video of Erik a very nice platform game. 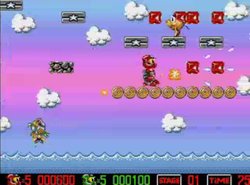 A video of this game will be available soon. 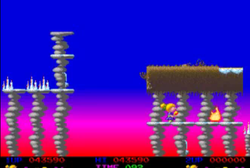 Click here to watch a video of Top Secret - its a similar game to Rodland. Click here to watch a video of the first adventure featuring this charming character. 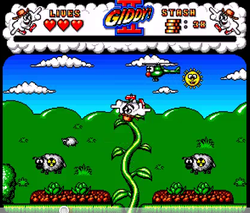 Similar to the Dizzy Games. Click here to watch a video of the second Wibble World Giddy games. A third has been written for the PC.